Shop online for 32 pst plastic models at discounts up to 46%. 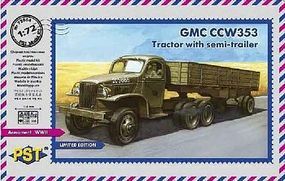 This is the 1/72 Scale GMC CCW353 Tractor w/Semi-Trailer Plastic Model from PST Models. 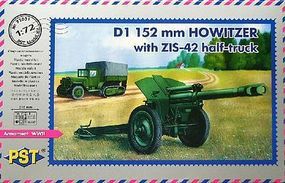 This is the 1/72 Scale ZIS42 w/D1 152mm Howitzer Mod 1943 Plastic Model from PST Models. 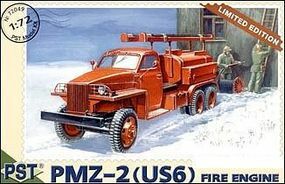 This is the 1/72 Scale PMZ2 (US6) Fire Engine Truck Plastic Model from PST Models. 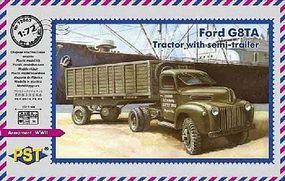 This is the 1/72 Scale Ford G8TA Tractor w/Semi-Trailer Plastic Model from PST Models. 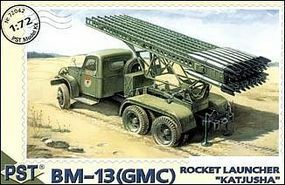 This is the 1/72 Scale Rocket Launcher BM12 Katyusha Based on GMC Chassis Plastic Model from PST Models. This is the 1/72 Scale ZIS6 Halftrack Truck Plastic Model from PST Models. 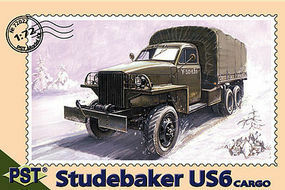 This is the 1/72 Scale US6 Studebaker Cargo Truck Plastic Model from PST Models. This is the 1/72 Scale ZIS6 Halftruck w/M30 122mm Howitzer Mod 1939 Plastic Model from PST Models. This is the 1/72 Scale S300 PMU Multi-Functional Radar Vehicle for SA10 Grumble Air Defense Missile System Plastic Model from PST Models. 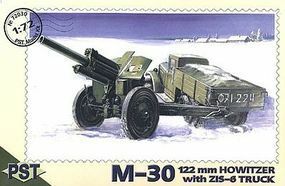 This is the 1/72 Scale M30 122mm Howitzer Plastic Model from PST Models. This is the 1/72 Scale S300PMU (SA10 Grumble Air Defense Missile on 5P85S Mobile Launcher) Plastic Model from PST Models. This is the 1/72 Scale ZIS5 Truck w/37mm AA Gun Plastic Model from PST Models. This is the 1/72 Scale T54/54A Med. Soviet Tank Plastic Model from PST Models. This is the 1/72 Scale M16A Machine Shop Truck on US6 Base Plastic Model from PST Models. This is the 1/72 Scale KV85 Soviet Heavy Tank Plastic Model from PST Models. This is the 1/72 Scale IS1 Soviet Heavy Tank Plastic Model from PST Models. 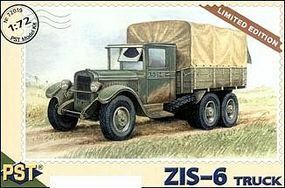 This is the 1/72 Scale ZIS5V Truck Plastic Model from PST Models. This is the 1/72 Scale PT76B Soviet Light Amphibious Tank Plastic Model from PST Models. This is the 1/72 Scale BTR50PK Armored Personnel Carrier Plastic Model from PST Models. This is the 1/72 Scale KV2 Dreadnought Soviet Heavy Tank Plastic Model from PST Models.